I wanted to drop by and give you all an update regarding BLOOM, the painting workshop I taught yesterday. 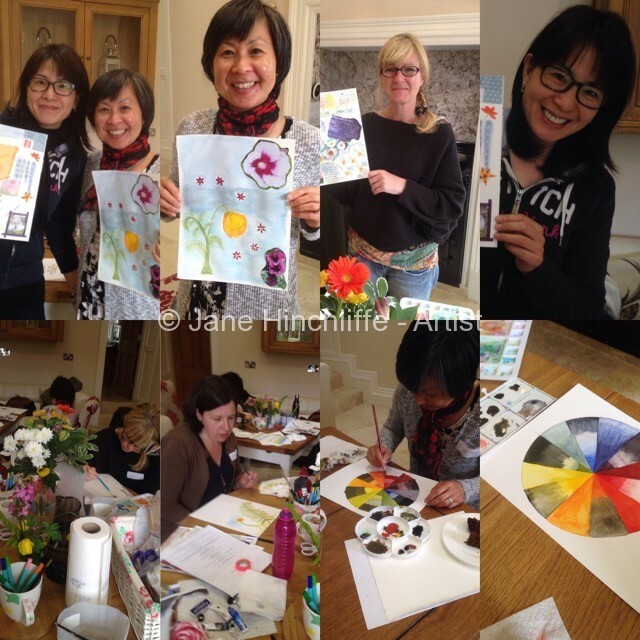 I loved everything about teaching Bloom, my new painting workshop. Totally shattered by the time I returned home but with that happy and content kind of tired, you know? It's been a dream of mine to gather women together and to encourage them to delve deep into their creativity for a very long time and as I offered this painting workshop to a half-dozen women yesterday, it totally ticked all the boxes for me. The thing about dreams, is that they inevitably require you to step out of your comfort zone and to believe in yourself and to then act upon the quiet whisper of the soul. This takes enormous courage (and don't let anyone tell you otherwise) and conviction. My journey has taken many paths before I stepped onto yesterday's and I think it had to be this way - I just wouldn't have been ready before. Who knows where all this will take me but I'm really listening in to my Father and trusting I'm heading where He would have me go. In amongst it all, I'm trying my best to discern what and how to use my gifts in a way that serves my Creator. I'm very much an introvert and yet felt very much called to begin this 'arm' of my work. It's just beginning to grow fruits from a public perspective (although the planning has been behind the curtains for a long while) and it feels rather like a tender seed which is just beginning to reach up for the sunlight and thrive. It feels quite delicate, all new but very much alive. I already have enough people for another two workshops and now need to figure out dates/times logistics and what's best for the majority. Of course, don't hesitate to contact me if you are interested in attending one of my painting workshops or for a 'Paint With Me Session' if that suits you better and there are two or more of you near the Pateley Bridge area.